Why should you care about the benefits of essential oils? What are essential oils? How can they help you in your daily life? Essential oils can be beneficial for many things. One reason I include essential oils is because I was able to see firsthand the side effects pharmaceutical medication can have. I’m not saying do not take prescribed medicine because they can be very beneficial. I just prefer a more natural route with less side effects. This includes natural immune boosting items and remedies. One of the ways I use a holistic approach is through essential oils. 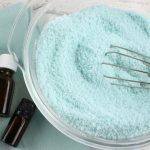 I have a few favorite recipes including ones for stress and anxiety and a homemade bath salts with. Essential oils are compounds extracted from plants. The oil is extracted through distillation using steam,water, or by mechanical methods such as cold pressing. Once the oil is derived it is combined with a carrier oil to make the oil ready for use. They are most commonly used by inhaling them or rubbing them on the body. If using them directly on the skin always make sure to dilute with a carrier oil. These oils can reduce symptoms of depression and anxiety, balance out hormone levels, heal digestive disorders, disinfect, and aid in reducing cold and allergy symptoms. Inhaling essential oils triggers powerful brain responses. Similarly, topical application allows the oils to quickly enter the bloodstream by being absorbed through skin tissue. I have found that applying topically with a carrier oil is great for muscle strain. 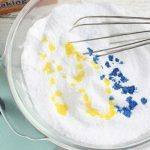 Another excellent use of is for reducing congestion One recipe I use is a homemade bath salts with essential oils added recipe. It not only aids with achy muscles but opens up the sinuses to reduce congestion. Vaporizing bath slats with essential oils. Good for relieving sinus congestion and sore achy muscles. 1. 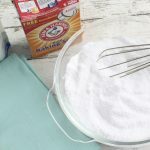 Add the epson salts and baking soda to a medium mixing bowl. Whisk to combine. 2. Add the essential oils and stir well to distribute. 3. Mix in the soap colorants and stir until your desired shade of green is achieved. 4. Transfer to an airtight glass container and store in a cool and dry place. 1. 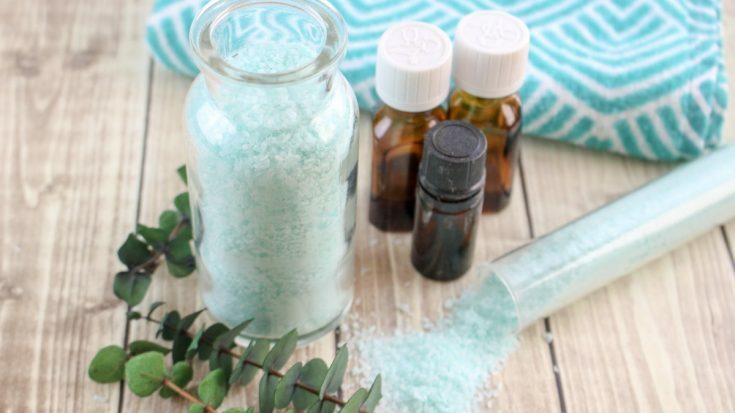 Add 1/4 cup of the vaporizing bath salts to your warm bath water. 2. 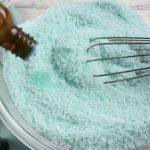 Use your hand to circulate the bath salts around in the water and to activate the essential oils. 3. Sit back and enjoy the vaporizing effects of the peppermint, eucalyptus and rosemary essential oils. These bath salts are perfect for relieving sinus congestion and to ease sore and achy muscles. You can also pack the mix in ice cube maker containers and freeze. Then pop a cube out to place in the shower or bath and let the aromas work. Here are step by step pics to go with the above instructions. Using essential oils can help in many aspects of life including cleaning, stress relief, disinfectant, and more. Stay tuned for more recipes I use in my daily life. What do you use in your life? I Have used a few essential oils but mainly when I was pregnant. This sounds really cool! 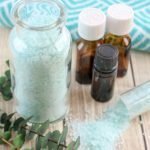 I love DIY project and making your own bath salts is a great idea. Very simple and you get to control the essential oil mixtures that you put together! Healthy and homemade, thats how we like it! I’ve heard about essential oils, but never really took the time read up on the benefits of them. Thanks for sharing. This makes me want to look into it more. Especially considering it’s potential for helping with stress and so forth. 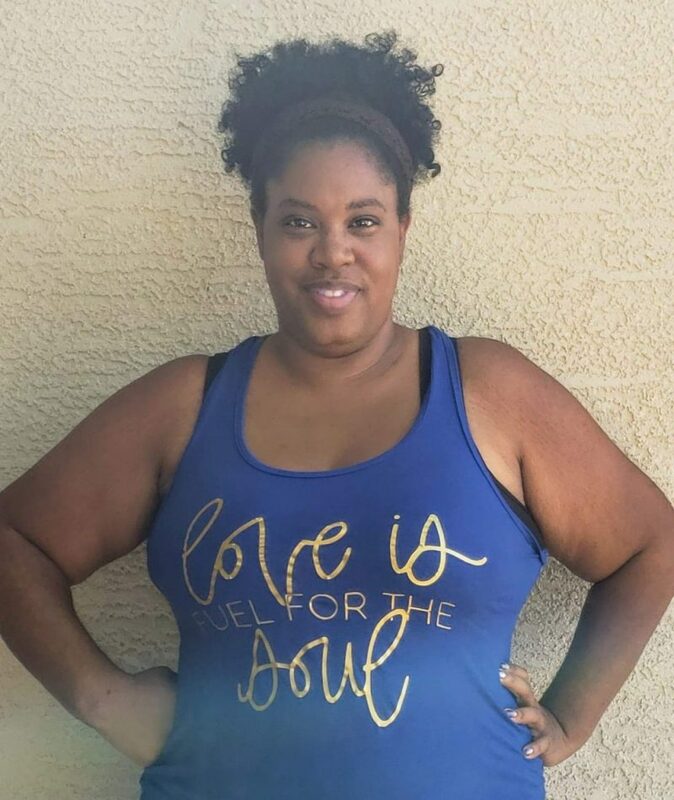 I love DIY projects! 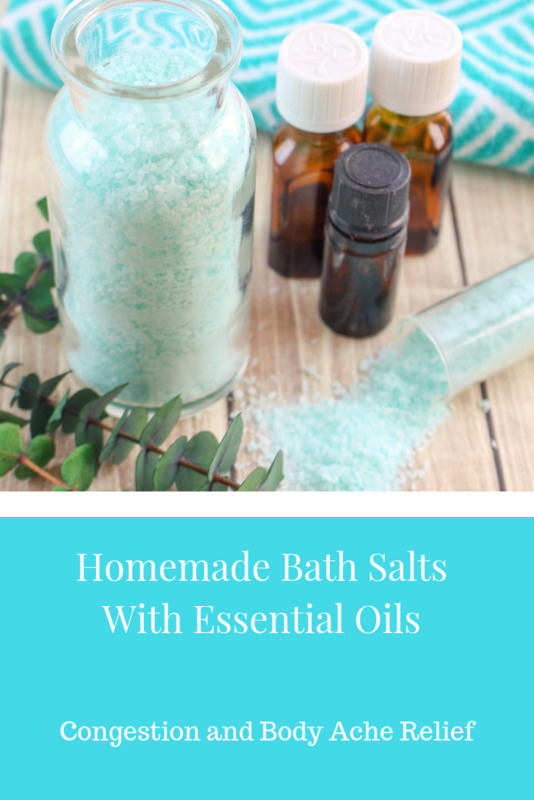 Making bath salts sounds really simple and we love essential oils in our house! I will have to give this a try. I just used some bath salts with oils in them the other day. These had lavender in them, so I put them in my boys’ bathtub on a crazy night and they loved it! I didn’t realize it was so easy to make, I’ll have to make more myself soon. These look great, and a great gift for the holidays, too! I love these! Not only would they be great for pampering myself, but they also make perfect gifts! The more I hear about the wonders of essential oils, the more I want to try them! With the cold months coming, I’m definitely going to make those decongestant bath salts. Sounds like a total game changer! 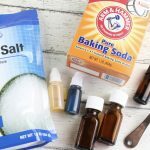 I have been wanting to make my own bath salts mix. Think I’ll be starting out with this formula of yours to get me started in the right direction. Plus essential oils are amazing. 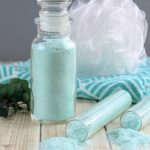 I’ve made a sugar scrub using essential oils but not bath salts! What a great idea I will definitely try this out! I love sugar scrubs too especially for my face but the bath salts are great for soaking in. I totally need to pick up a rosemary essential oil! This sounds so much better than buying lush bath bombs that keep staining my tub!! Oh, I need this in my life! 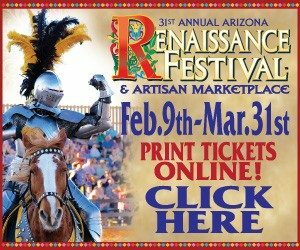 I’m training a lot and my muscles need some relief from a wamr bath with essential oils.